Highlighters in tank style offer easy gliding chisel tip for a smooth highlighting experience. 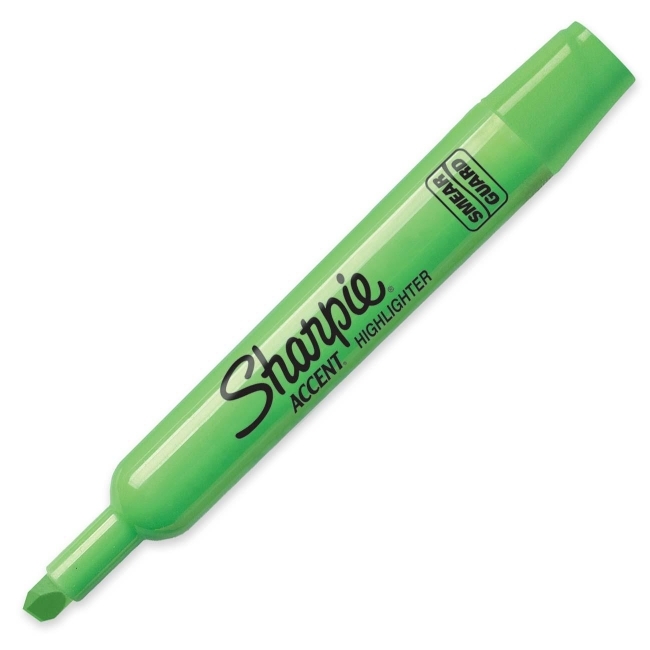 A dependable and long-lasting highlighter for a long write-life. Bright see-through colors increase information retrieval efficiency. The chisel tip lets you highlight both wide and narrow lines of text. Quick-drying, odorless ink is certified AP nontoxic.